Elon Musk has had a series of angry social media dust-ups with Wall Street analysts, journalists, employees and others. The since-deleted weekend tweet referred to Unsworth as “pedo guy,” an apparent reference to paedophilia, faced a deluge of criticism on social media and from analysts questioning whether Musk had crossed a line on responsible conduct for a Chief Executive Officer (CEO). “This is the most brand-damaging thing Elon Musk has ever done,” said Roger Kay, an analyst with Endpoint Technologies Associates who follows the technology sector. Kay said Musk appeared to be following in the footsteps of United States' President Donald Trump in using Twitter to vent frustration and insult anyone with whom he disagrees. Tesla shares skidded 2.75 per cent to close at $310.10 following the latest controversy, adding to pressure on the electric automaker which has struggled to meet production targets for its Model 3, seen as crucial to its long-term viability. Musk “is under a lot of pressure and we're seeing pressure fractures,” Kay said. Patrick Moorhead, analyst and consultant with Moor Insights & Strategy, said there were “some similarities up to this point” between Musk and Jobs, but that the latest personal insult appeared to cross a line. “Steve jobs didn't take it to this extent,” Moorhead said. To avoid long-term damage, “the first thing Musk needs to do is issue a huge apology,” Moorhead said. Musk has become embroiled in a series of spats with the news media — chastising reporters for focusing on accidents of autonomous cars instead of their safety potential, and accusing one news organisation of being “relentlessly negative” about Tesla. Last month, he alleged “sabotage” at Tesla's operations by an employee, who responded by claiming to be a “whistleblower". When documents revealed he donated to a Republican political group, despite his criticism of the current administration, he responded by saying he gives “to both parties to maintain dialogue". In an earnings call, he berated analysts for asking “boring” questions and sidestepped questions about Tesla's massive capital needs. 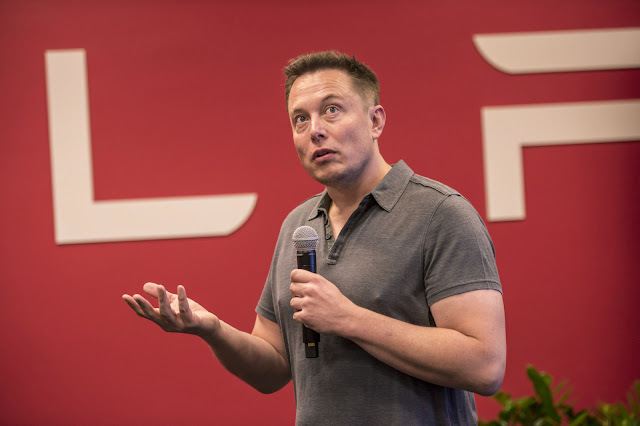 Musk's conduct “of course is not appropriate for a CEO,” said Bob O'Donnell, founder of Silicon Valley-based Technalysis Research. O'Donnell said Musk has fallen into a “hero worship persona” but has failed to live up to the responsibility that implies. Trip Chowdhry of Global Equities Research, who has long been bullish on Tesla, said the latest dust-ups involving Musk only show “he is human,” and don't detract from his quality as a great innovator. Chowdhry said that like other important innovators, Musk has “zero tolerance” for any distractions from his goals, even if he lacks the public relations skills of most CEOs, and that within five to 10 years, Tesla's innovations will be more appreciated. “Betting against Tesla is not only insane, but total stupidity,” Chowdhry said.